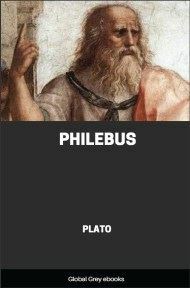 The Apology is Plato's version of the speech given by Socrates as he defended himself in 399 BC against the charges of 'corrupting the young, and by not believing in the gods in whom the city believes, but in other daimonia that are novel'. "The Apology" here has its earlier meaning (now usually expressed by the word "apologia") of speaking in defense of a cause or of one's beliefs or actions. The Apology begins with Socrates saying he does not know if the men of Athens (his jury) have been persuaded by his accusers. This first sentence is crucial to the theme of the entire speech. Indeed, in The Apology Socrates will suggest that philosophy begins with a sincere admission of ignorance; he later clarifies this, dramatically stating that whatever wisdom he has, comes from his knowledge that he knows nothing. Well, then, I will make my defence, and I will endeavor in the short time which is allowed to do away with this evil opinion of me which you have held for such a long time; and I hope I may succeed, if this be well for you and me, and that my words may find favor with you. But I know that to accomplish this is not easy - I quite see the nature of the task. Let the event be as God wills: in obedience to the law I make my defence. I will begin at the beginning, and ask what the accusation is which has given rise to this slander of me, and which has encouraged Meletus to proceed against me. What do the slanderers say? They shall be my prosecutors, and I will sum up their words in an affidavit. "Socrates is an evil-doer, and a curious person, who searches into things under the earth and in heaven, and he makes the worse appear the better cause; and he teaches the aforesaid doctrines to others." That is the nature of the accusation, and that is what you have seen yourselves in the comedy of Aristophanes; who has introduced a man whom he calls Socrates, going about and saying that he can walk in the air, and talking a deal of nonsense concerning matters of which I do not pretend to know either much or little - not that I mean to say anything disparaging of anyone who is a student of natural philosophy. I should be very sorry if Meletus could lay that to my charge.